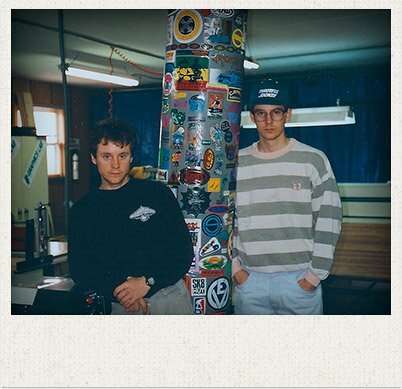 Our family started Graphics Lab in 1986. 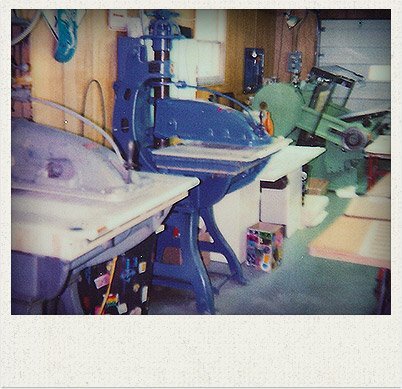 We began working out of our garage on the outskirts of Kokomo, Indiana and our first products were screen-printed textiles. 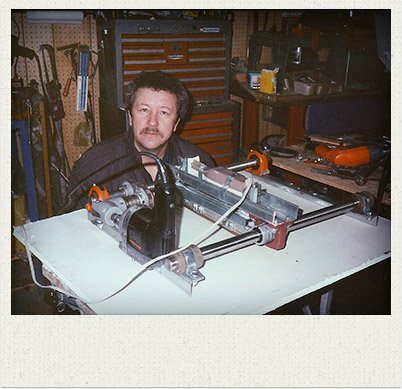 Rapid growth allowed us to convince our parents to build a new 1800 square foot building beside their house to handle our expanding business. This new space allowed us to change direction and start focusing on the manufacturing of stickers and decals. Since we are avid fans and participants in many extreme sports and motocross racing, companies in these industries quickly became our first decal customers. After a brief period of decal production, we decided that building the best quality products and providing outstanding customer service would be our formula for success. 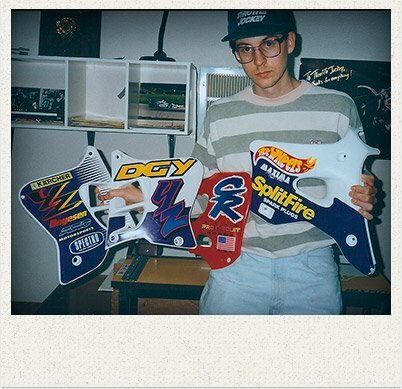 In the early 1990's, aftermarket motocross bike graphic kits were becoming a big business. Since we have been riding motocross since childhood, we decided to enter this new market and created the Throttle Jockey brand. Manufacturing high-end motocross graphic kits, numbers and seat covers became our second focus. After twelve years of growth, it was time to expand. 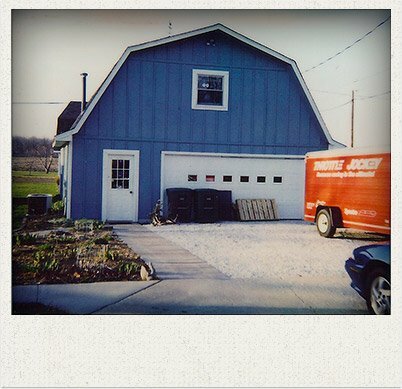 In 2000 we were able to purchase a 7,300-square-foot building in Kokomo's enterprise zone. Within one year we saw an incredible increase in efficiency and productivity and knew we were headed in the right direction. We currently have customers in the U.K., Canada, Australia and France as well as customers all over the United States. 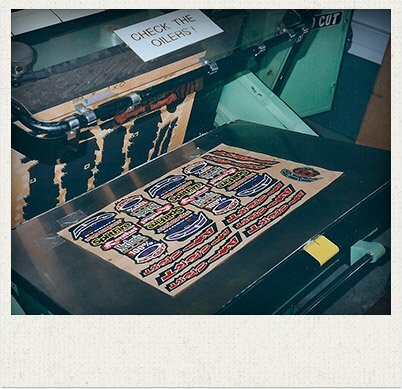 Graphics Lab customers include the House of Blues, Gerber knives, Yellowstone National Park, Great Smoky Mountains, Vail ski resort, Wiseco Piston, Cometic Gaskets, Jackson Hole, Mechanix Wear, Breckenridge and Showa as well as many others. 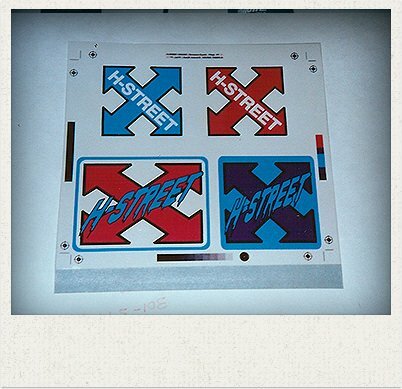 Throttle Jockey manufactures, distributes and sells officially licensed graphic kits for Honda motorcycles. Throttle Jockey has been the official sponsor and exclusive graphic decal manufacturer for every American Honda Motocross and Supercross team since 1997. We have sponsored legendary motocross racers such as Jeremy McGrath, Ricky Carmichael and world champion Sebastien Tortelli. Throttle Jockey has also produced custom graphic kits for the Universal Studios movie theme bikes. Included were THE MUMMY RETURNS, SCORPION KING and JURASSIC PARK projects. Graphics Lab and Throttle Jockey are still growing today thanks to our customers demand for the highest quality products and outstanding service. You can review our services and products at graphicslab.com as well as throttlejockey.com.